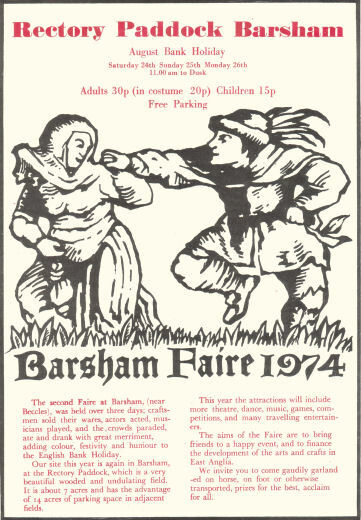 We heard about Barsham Faire fro m friends, and as we were into camping anyway and were unemployed with plenty of spare time, decided to give it a try. That was the last year we went as punters; we decided we wanted to be part of it, if only a small part. After a lot of deliberation and discussions with the children over the winter, we decided on a kids stall, but with a difference; our kids would run it for other kids, and so, in tune with the 'Lords of Misrule' ethos and our anarchist principles, was born Pelt Ye Sheriff, to instill a proper respect for law and order in the kiddies. A large sheet of plywood was painted with a comic Sheriff complete with surprised, open mouth through which a hole was cut. Bean bags were sewn as harmless objects for little ones to throw, and rules were invented, which were later broken at will. 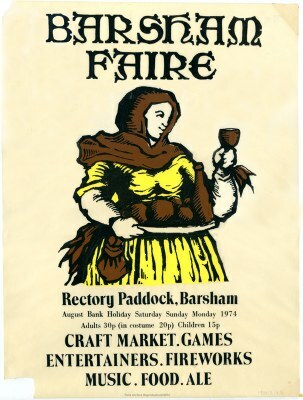 A job lot of 'stocking filler' small toys was purchased as prizes, and made medieval costumes for all of us on the trusty sewing machine, and we were ready for Barsham. Pelt Ye Sheriff was a hit, and constantly busy with little ones throwing bean bags at the startled Sherif. Many didn't get anywhere near his open mouth [some missed him entirely] with their three bags for 10p, but got a prize anyway as we didn't want any going away with a sense of failure; the prize was for throwing them at the Sherif, not hitting him! 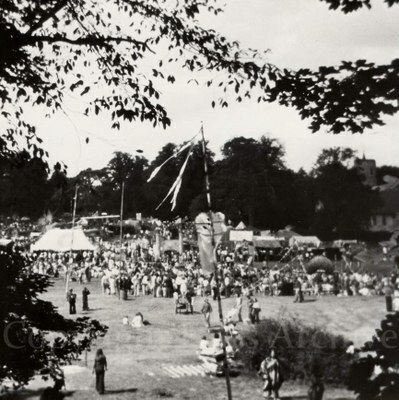 Our children made some pocket money which they spent themselves at other stalls around the fayre, and we enjoyed the opportunity of sending the kids out to work, whilst camping among lovely, creative people in a beautiful part of the country; being part of it all. 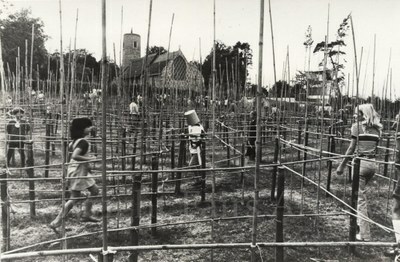 At one point a visitor asked to buy one of our tea towels hanging on the improvised washing line among the trees – we almost sold it just for the craic.